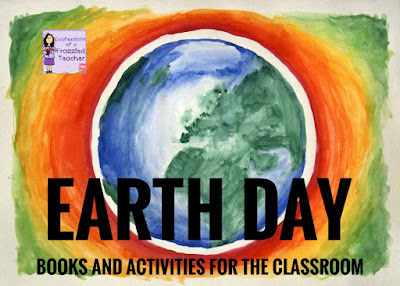 I'm bummed that I won't be able to celebrate Earth Day on the actual day with my students. Okay...I won't be too bummed because it means that I will finally be on my much needed Spring Break! Instead of celebrating Earth Day on April 22nd, we will celebrate when we get back from break. Later this week I'll share some other books about Earth Day. Today I thought I would share some lesser known ones. There are a lot of books about recycling and reusing materials. These are a great choice to use if you have any projects geared that way. Reusing Project - This was another project I did early in my teaching career before STEM was even a thing. I would have students collect empty cereal boxes, milk cartons, cans, etc. I would then put out art supplies. Students would have to brainstorm an item they could build to help reuse things instead of just throwing things into the garbage. They would then build their design. I usually did this in groups. We would present our finished products to the class. This is another one that I stopped along the way, probably due to the hassle of getting everything together. I may bring it back because I really enjoyed it and it ties perfectly with STEM. Clean-Up - I provide plastic gloves and garbage bags for my students. We head outside and just clean up around the school. It's amazing how much garbage is thrown around the property. It helps my students take pride in the school. FYI - We come in and scrub our hands after this one. Online Games and Tools - Here are some student friendly games/websites. The Spruce - This is one for you to peruse with some fun games for students to play (offline). The Kidz Page - Lots of online games along with some coloring printables. If you are interested in some educational materials for Earth Day, I have a couple available that may interest you. Click on the pictures to see them in more detail. 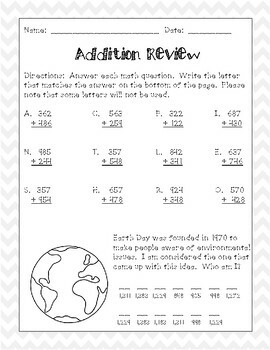 Earth Day Fun Review - My favorite one is the Earth Day Fun Review. 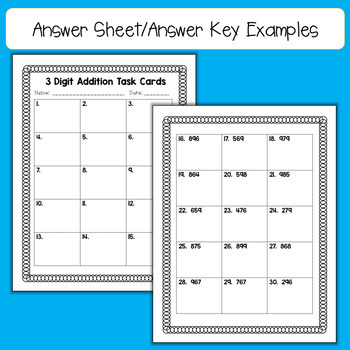 I incorporate facts for my students to learn along with math problems. I'm also working on an update with this one to better differentiate it for students. Task Cards - I'm also a sucker for task cards. Here's an example of the 3 digit ones. I hope you enjoy teaching your students about Earth Day! What's your favorite Earth Day activity or book?